Judit Gazsi was born in 1960. She is a gender expert at the Ministry of Social Affairs and Labour, Department of Gender Equality, and president of the Esther’s Bag Foundation. She graduated from ELTE University, majoring in history, and also got a degree from the University of Crafts and Design Institute of Management. She worked for the Central European University and the Soros Foundation Hungary in Budapest. She was a researcher at ELTE University, Department of Ethnic and Minority Studies, taking part in research examining gender and exclusion. She was a researcher at the University of Miskolc, Gender Studies and Equal Opportunities Centre, where she was part of the European research team examining social exclusion from the point of view of gender. She was the project manager of the Gender Mainstreaming Pilot Project of the Ministry of Youth, Family, Social Affairs and Labour supported by the European Commission. Andrea Petô was born in 1964. She is associate professor at the Department of Gender Studies at the Central European University. Her books are Nôhistóriák. A politizáló magyar nôk története (1945–1951) (Budapest: Seneca, 1998); Women in Hungarian Politics 1945–1951 (New York: Columbia University Press/East European Monographs, 2003); Rajk Júlia (Budapest: Balassi, 2001), Geschlecht, Politik und Stalinismus in Ungarn. Eine Biographie von Júlia Rajk. Studien zur Geschichte Ungarns, Bd. 12 (Gabriele Schäfer Verlag, 2007); Napasszonyok és Holdkisasszonyok. A mai magyar konzervatív nôi politizálás alaktana [Women of Sun and girls of Moon. Morphology of contemporary Hungarian women doing politics] (Budapest: Balassi, 2003). Zsuzsa Toronyi was born in 1970. 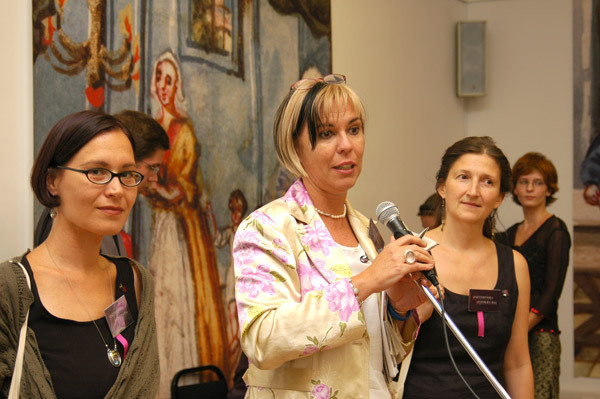 She is an archivist, museologist and curator at the Hungarian Jewish Museum and Archives. She lectures on Jewish history at the John Wesley Theological College and on the history of Jewish ceremonial art at the Rabbinical Seminary of Budapest. She is a member of the Esztertáska Workshop and has been the curator of several exhibitions: “Dimensions of the Past” (2000); “The Jewish Woman” (2002); “Our Museum” (2006); and co-curator of “Juden in Ungarn” (Jüdisches Museum, Frankfurt am Main, 1999); and “From Deprivation of Rights to Genocide” (Hungarian National Museum, 2006). Her books are Zsidó társadalomismeret [Jewish Social History—a coursebook for elementary and secondary schools] (Budapest: Körtánc Alapítvány, 1997); Jerusalem anno… Old Jewish Postcards (Budapest: Magyar Könyvklub, 1999); and Segédlet a héber nyelvû iratok levéltári leírásához [Manual for the Description of Hebrew Documents] (Budapest: Magyar Zsidó Múzeum és Levéltár, 2006). She has also edited Makor. Magyar Zsidó Levéltári Füzetek (Makor. Sources from the Hungarian Jewish Archives).